Photos courtesy of Tenzo Tea by Ryan K. Redira. From left: CFOO Dan Glamack, Co-founders Steve O’Dell and Robbie Page and Chief Sales Officer Brody Cord. 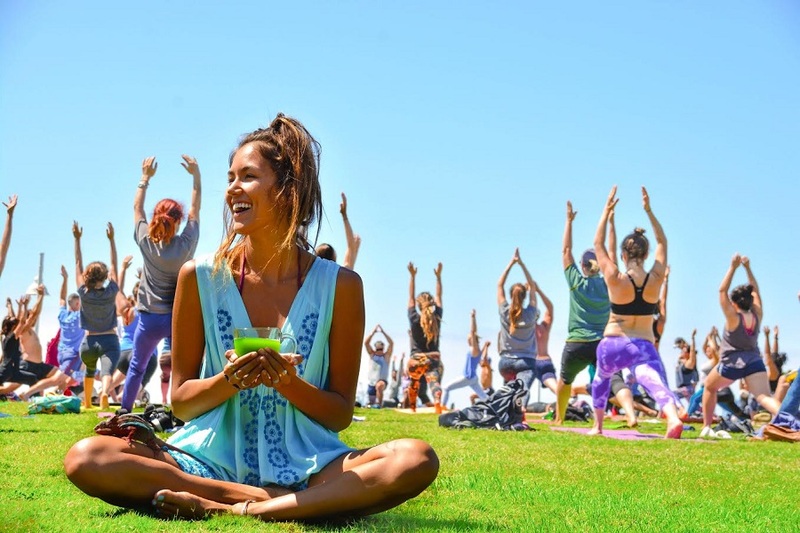 Frustrated with the negative effects from coffee, Red Bull, Five-Hour Energy and pre-workout supplements, childhood friends and former University of California, Los Angeles (UCLA) volleyball teammates Robbie Page, 24, and Steve O’Dell, 22, endlessly searched for a healthier, energy-filled alternative until summer 2016, when they discovered Camellia Sinensis, commonly known as matcha or green tea. 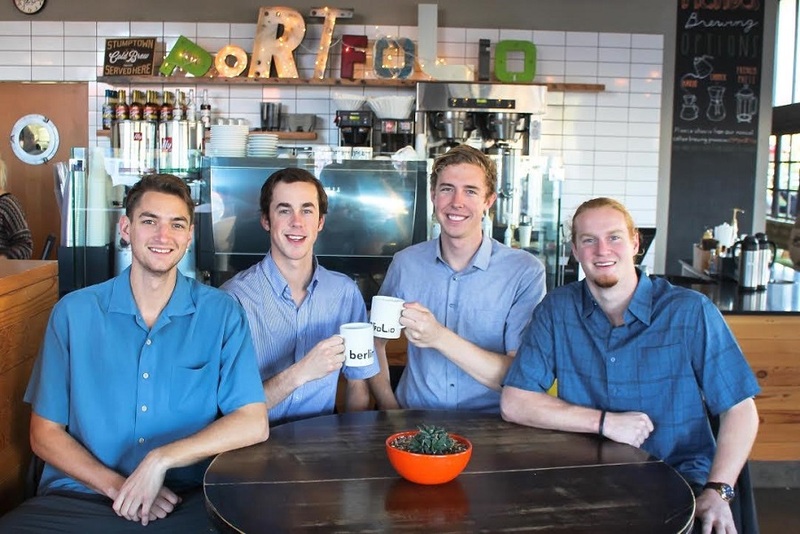 This natural ingredient inspired Page, a graduate in neuroscience, and O’Dell, a former history major, to abruptly change their life paths and launch a new business, Tenzo Tea, to serve the best quality matcha and promote a healthy lifestyle. One serving of matcha contains 52 milligrams of caffeine, 23 milligrams more than a serving of Coca Cola. 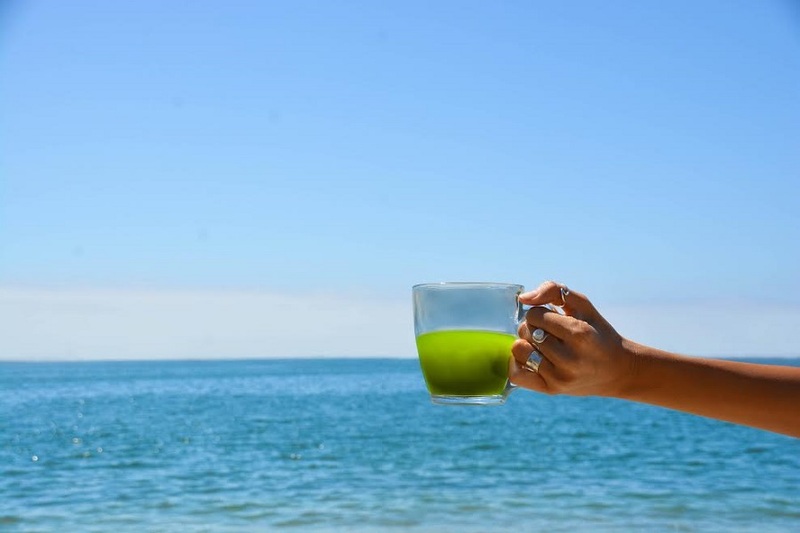 Drinking matcha daily has been found to prevent cancer-cell growth and cardiovascular disease, reduce inflammation and onset of arthritis, boost metabolism, utilize fat as an energy source, reduce cholesterol, limit invasion and growth of viruses and bacteria and prevent brain aging and neurodegenerative disease, according to Page and O’Dell. 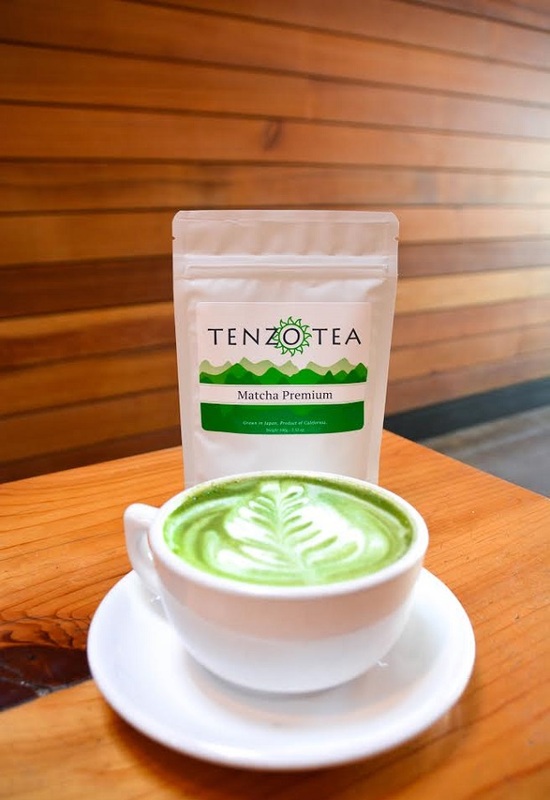 Less than a year after discovering matcha, Tenzo Tea is now sold in 36 locations in Southern California, almost half of which are in Long Beach. Preparation and consumption of the powder tea spread through the practices of Zen Buddhism from China to Japan. Page and O’Dell decided the Japanese term, “tenzo,” a title given to a chef at a Buddhist monastery, would be an appropriate name for the product. Both men also educated themselves on the different types and grades of matcha. Hundreds of matcha teas from all over the world still remain at their apartment from when they did taste testing, O’Dell said. They finally decided on a matcha from Kyoto, Japan. With no office to lay out the business plans, Page and O’Dell resorted to working at the nearest coffeeshop to their apartment, Portfolio Coffeehouse, at 5:30 every morning for four consecutive months. After three months, they pitched Tenzo Tea to owner Kerstin Kansteiner, who also runs Berlin Bistro and soon, Portfolio Fit. Since Portfolio’s environment is fast-paced, she was worried that customers might confuse matcha with the sweetened green tea they already use, so she thought the relaxed setting at Berlin would be more suitable to communicate the difference. As the customers’ demand for matcha increased, Kansteiner decided to use Tenzo Tea at all three of her locations. Kansteiner greatly appreciated their effort to communicate and get involved with making and improving the matcha drink, she said. She was especially impressed with seeing the duo at Fourth Street meetings. Kansteiner added that it was easy to work with them because they were so involved. She recalled O’Dell teaching the baristas how to make the drink, a task that is generally one of her responsibilities. O’Dell also developed a flyer providing an image of the drink and its benefits. “Their best interest was that their product was represented in the best way,” she said. In addition to Kansteiner, Page and O’Dell credited several Long Beach business owners to their success such as Stephanie Blakeslee from Art du Vin Wine Bar and Laurie Gray from The Pie Bar. Local graphic designers Emily Brock and Grant Bernstein also assisted them with creating their logo, among other projects. Switching career paths was an incredible risk, especially for O’Dell. He recalled his mom crying when he told her that he was dropping out just before his last quarter at UCLA to pursue entrepreneurship. He found himself living on his friend’s couch soon after. O’Dell believes that these challenges are worth it because they will result in personal growth and prepare him for future obstacles, he added. Between February and March, Tenzo Tea’s revenue grew 114 percent. Growing at this rate makes it difficult to predict where the company will be a year from now, the pair said. So far, Tenzo Tea has shipped to 43 states. In the future, Page, O’Dell and partners Dan Glamack and Brody Cord plan to expand Tenzo Tea internationally. Tenzo Tea products, store locations and more information can be found here.